The sun rides higher in the sky and daylight lasts almost 11 hours, but those are just about the only signs of spring — and most of us long for a warm-up that stretches beyond a meager two days. 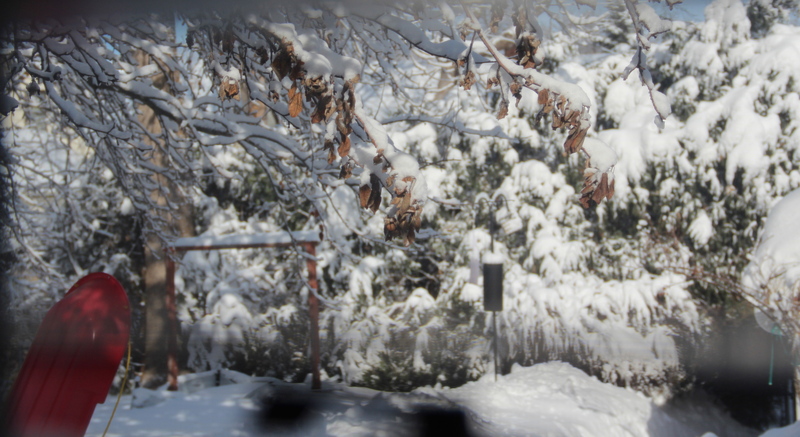 Last week brought “bookend” snowstorms: 6.4 inches of new snow on Monday and 9.9 inches on Thursday/Thursday night, for a total of 16.3 inches measured at nearby Minneapolis-St. Paul International Airport. 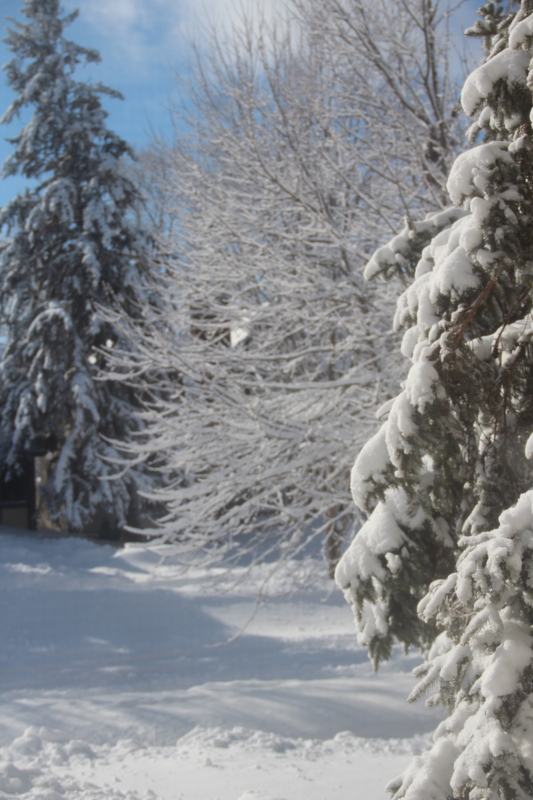 Heavy snow blankets white cedars in our backyard. Ice and snow cover a black spruce and a red maple in our front yard. How I pine for the first crocus to poke through the soil and open its delicate cup-shaped flower to the early spring sun! But, with at least two feet of snow, plus the snow from sidewalk shoveling heaped on top of the garden, it’s likely to be several weeks before the snow melts and sunlight warms the soil. As soon as I spy the first patch of dirt, I’ll be out every afternoon peering at the muddy earth for the first tiny, reddish-green tip of a crocus to push through to the light and signal the reawakening of life. What signals spring to you? © Beth and Nature, Garden, Life, 2013-2014. All photographs and text are created by Beth unless specifically noted otherwise. Excerpts and links may be used as long as full and clear credit is given to Beth and Nature, Garden, Life with specific direction to the original content. Please do not use or duplicate material from Nature, Garden, Life without written permission from Beth. 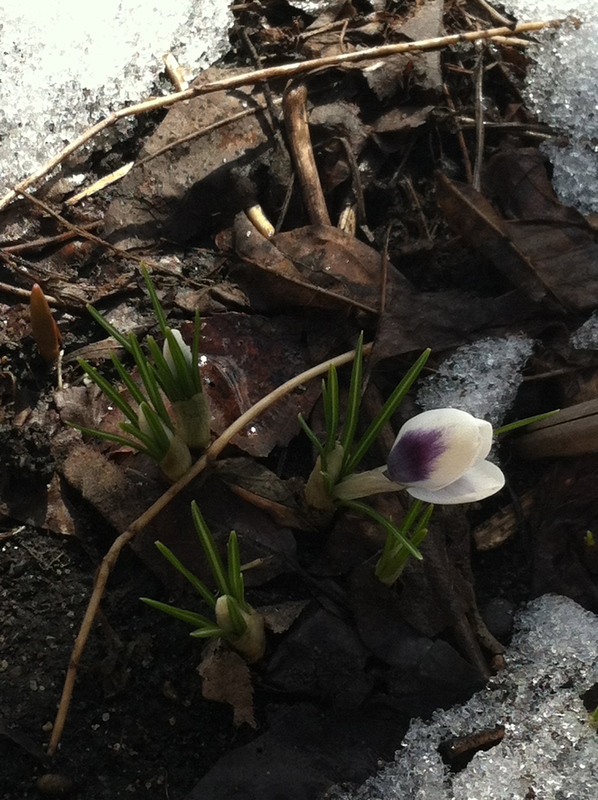 This entry was posted in Backyard Nature, Phenology, Saint Paul, MN, Snow, Spring, Weather, Winter and tagged Crocus, Snow, Spring, Winter. Bookmark the permalink. Thanks for all of your support, Dad! A wealth of information with so much beauty. The longer daylight certainly has given me hope in the earth’s ability to overcome this winter with a sure and coming spring. I will listen for the dripping trickle of melted ice as it cuts through the edges of our curb toward the storm sewer. That sound is one of my favorite precursors of the coming warmth. Thanks for your reflections, Beth! The trickling water wearing away the ice is a wonderful sound! Thank you for sharing your thoughts, Lois.